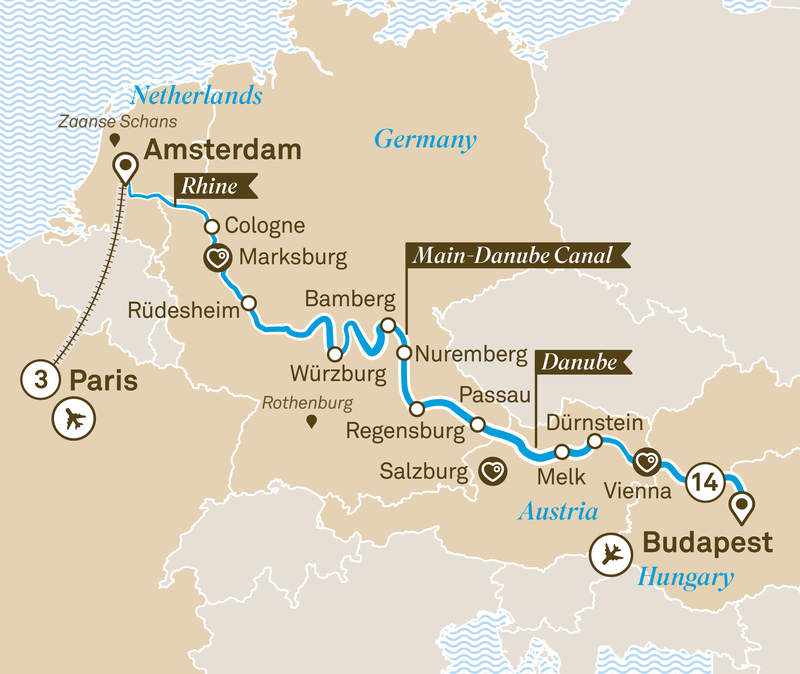 From Paris to Budapest, this is a journey that begins and ends with two of Europe’s most remarkable cities, and features a string of glittering towns in between. Travel the canals of Amsterdam, visit Cologne with its towering cathedral and timeless Vienna, spiritual home to Europe’s greatest composers. If you’re after great food, there’s more than enough in this itinerary to get you salivating, including visits to Regensburg, known for its delectable wurst, and Bamberg, equally famous for its world-class beer. And if you’re looking for more than just cuisine, rest assured – stops at Marksburg Castle, Nuremberg and Melk will provide a feast for all the senses.